With the approach of the year’s end we send sincere and warm greetings to each of you. A new edition of FOOTNOTES is in your hands. It has several sections to combine my observations and comments about events and ideas in the world around us, in our life and further away. With your copy of FOOTNOTES also comes an envelope, which you may use to request a copy of my new book “The Innocence of God”. Yes, it is finally available, and we are happy to send you a copy in return for a gift in support of the work of the Schaeffer Foundation. We are in urgent need of your help. Our ability to teach and to continue the programs depends on your ability to support the work. During the past months we were not able to meet our objectives, so any help at the end of the year is very much appreciated. I must apologize for the number of spelling errors in the first edition of The Innocence of God. I do not know how they crept in, and of course they will be corrected for the next edition. For now they are proof that you own a first-edition. From previous issues you may recall the main points addressed in the book. God is innocent of the accusation that he is the author of or, at any time after the fall, satisfied or pleased with an imperfect world, where cruelty, hate and death as well as natural catastrophes are very real. The book is a biblical study with philosophical considerations. It lends itself to start good conversations about God, the human being and the Bible’s teaching, as well as for group studies. It is unexpected, yet solid answer to those who object to God’s supposed responsibility for the state of the world. It does not compare theological positions, but lays out the response of God and his people to a world in much need of repair. Central to my argument is that Greek ideas about fate, destiny and human drama have replaced Biblical ideas about a passionate God, who is at work in history to restore a spoiled creation. The hymn This is my father’s world affirms his authority and sovereignty, but also that the world in its present state does not describe his moral character. God is holy, but creation, Man and nature, is at present not so. Two funerals recently contrasted what is real now and what God intended in the beginning and will bring about again. The first, for our village doctor and long-time friend Andre Gandur, spoke of the effort he had made in his profession, study and life to repel illness and ignorance. In that he fulfilled the mandate to have dominion, which after the fall also includes skillful resistance to illness and death, to resignation and ignorance. We were also comforted from the reminder that death is an enemy, that we wait for the resurrection, that life is what God will make new. He sent Christ to reveal the will of the Father, to redeem us from guilt and to show us in his resurrection a real life after death. The other, for a neighbor and mother of our children’s friends from school, tried to comfort by saying that we all need to pass through this transformation of death to become one with God. Death is not sad, but a change from materiality to something spiritual. Long readings from Pierre Teilhard de Chardin, a Roman Catholic evolutionist theologian, supported this view. He holds what amounts to a Buddhist view of life. Everything is part of a changing process, and in the end everything becomes divine; it is all only a matter of time passing. Death is only one door through which all pass to achieve eventual divinity. This not only gives a purposeful place to death. It is no longer an enemy, something we need to object to, regret, oppose and despise. This view also denies the eternal uniqueness of a person, the individuality of each one, the face-to-face wonder of God and each person made in his image. For in the end, all is ONE, without differentiation, without language, communication, or love. The attempted comfort lies in the pronouncement that a deceased has already gone ahead and is closer to his or her final purpose of being …. less human. Chardin’s view is evolutionary, the human being will be released from the body to become spirit and eventually share in the divine. Nothing here about a hope of the resurrection, of life everlasting, of the marriage supper of the lamb! The whole thing devalues life and offers no future continuity of a person. This is no longer the Christian hope of life, but the Buddhist hope of oblivion and detachment, a content-less spirituality, a denial of historic and material life. A far more Biblical view of things Debby and I experiences in Kelso, Washington, where we went for my 50th High School Reunion. I had been the first foreign exchange student there only a decade after the end of the war. My children now urged me to attend. I had had no contact for fifty years with anyone there, except for two teachers, who have both since died. It was a wonderful, yet also strange gathering. We were all much older, of course. I used my old yearbook to recognize people and names. Here we were, each having had a life of work in some way or another. But that was now past, without my having been part of theirs along the way, or they of mine. The whole fifty years were foreshortened, as if from one day to the next, we had all only aged, some had died. There had been a life, but I had missed out on its constant changes; now almost everyone was retired. But it was also delightful. I enjoyed seeing them again and finding out how many had stayed in town, about their life in the lumber business, marriages, births and divorces. I thanked them for inviting me to be a student among them and spoke of my changes, ideas, work since, and becoming a Christian early on in University. They were so pleased that I had come back after fifty years. What a celebration of life, of human beings, of the desire that death would not rule! And then they prayed before the meal, and afterwards we danced. Most of them joined in the ‘Amen’ first before the music later. Here was something totally absent from modern Europe: normal people, basic lives, an enjoyment of real life in spite of the ups and downs; and prayer. A significant part of my life in recent years was filled with all those many trips to countries of the former Eastern Block, mostly to Russia, but also to Romania, Estonia, Ukraine and Moldova. Some of you will remember that our team presented Christianity as a basis for a moral and civil society during teachers training seminars all across the land. Each of the many states and semi-independent republics of the former Soviet Union organized these convocations. A curriculum of Christian ethics had been worked out by the International School Project, the Jesus Film was shown, and in plenary sessions and small groups we discussed how Christianity sees the world, calls for moral discernment and lays the foundation for an open, yet civil society. I did not go there primarily to share my faith, but to show how dialectic materialism is a lie about human beings, the real world, God and society. My effort was to explain that Christianity is not a religion – as Marxism insisted – but the true and fitting, reasonable and evidenced understanding of our existence. Marxism in its dialectic materialist view of things is a religion as many others. For, they exist only as an idea in the mind of people, which the real life of people contradicts daily. In reality people are more than matter and their belief does not do justice to their experience in the real world. Consequently we told people, who largely had no knowledge of Christianity, that here is no invitation to a religion. The Bible gives particular and coherent answers to the basic questions all human beings have. In addition we suggested that one needed to know the basic proposition or worldview of Christianity in order to be an educated person. For, without seeing the influence of Christianity on our culture, history and education one does not understand our society: the rule of law, the encouragement to reason, the focus on human beings, including in such fields as painting, contracts, in science and social services. The Bible places an emphasis on both form and freedom in all of life, on doubt and discovery. All these concepts derive from insights gained from the Bible. There alone is the individual person valued as a bearer of God’s image, regardless of his age, gender, and contribution to society or personal appeal. For these reasons, we added, Christianity is also the foundation of a civil society, encouraging open discussions about present needs, taking responsibility and questioning and always doubting the finality of any human authorities. If we can argue with God, as Moses, Jeremiah, Job and Jesus did, should we not much more argue with Man. One night a woman walked me back from a tea and discussion with teachers in her school to the sanatorium where our team stayed. Her observation at the time sticks in my mind: “We need to repent of what we have done, before things will get better. We never have repented until now”. Repentance of any kind was never part of the scientific materialist understanding of life. For, Hegelian history in its flow always offered a new page, so to speak. The old book was closed, a new page was being written. History consists of the both/and, not the either/or. In the Marxist view, history is inclusive of all events. Two conversions are required to become a Christian and to see things in the way of the Bible rarely happened. The first is the intellectual conversion from a closed system of material historic forces to an open view of God, who is an infinite person and who has made us as persons as well, open to choices, good and bad. When one is still steeped in the materialist historical view and sees change not in mind and morals of people, but in the sequence of passing years alone, nothing will really change. People lie low and wait to see what will happen, and usually bad people will exploit the inactivity in a moral vacuum. I see here the reason for the many statues of Lenin we saw back then. You can still see them. “He is part of our history” was the repeated comment. So I often asked whether Germans should put back statues of Hitler, or Americans should hoist monuments to slavery. These things are part of our history. I rarely met a Russian who saw the inconsistencies. Most of them objected to the fascist history, but not to the brutality that resulted from Lenin and his student Stalin. Now we read that statues even to Stalin are again erected here and there. After years of critiquing the reign of this dictator, he is presented in a new light. This year saw public occasions to remember the 70th anniversary of the great Stalinist purges that killed thousands after mock trials and millions in labor camps. Yet this year as well Putin’s government issued new schoolbooks. They present the years of the Soviet reign as ‘not democratic, but socialist and just’. It suggests that it did not conform to the present political views about democracy or Western standards of freedom. But why should it? The impression is made that democracy is untidy (which it is), leading to injustice (which it often does), and in the end always disappointing. The socialist ways of doing public things is, by contrast, just, egalitarian, and good, even if only in the end, when millions have been eliminated. However, while democracy invites critique and opposition to imperfection and makes it possible, a collective imposition of socialism institutionalizes power and injustice, both to the living and the dead. It gives it no recourse, does not respect personal choices and imposes an egalitarianism, which is disrespectful to human activity, and is violently imposed. Democracy or an open, pluralistic society has the legal and educational tools to discover, oppose and diminish, if not heal injustice. The Protestant Reformation and the parallel cultural and economic awakening during the Renaissance brought about diversity, for better and for worse. They broke up the monopoly of intellectual, civic and spiritual power of the Roman Church. A free market of goods and services invites people to select, to weigh quality and price, to match need with supply, in short to doubt and argue with any proposed “last word” on things. In each case the untidiness of freedom serves to question the reigning monopoly, bringing with it both greater confusion and greater discernment. By contrast, any monopoly offers order, tidiness and a measure of security, but at the price of not admitting examinations of its truth, accuracy and content. If there is only one view on the market, everyone is invited to believe that this is the truth. But it can also be a lie and remains undiscovered, since doubt about it is not admitted. This realization, that doubt is the only way to pursue things further, to advance in certainty, to progress in skills, is rarely welcome. It was characteristic of Dr. Schaeffer’s life and work, but not followed by many in his denomination and later in the work of L’Abri. Jane Smiley suggested in a recent review of Frank Schaeffer’s book that perhaps Schaeffer lost his early convictions in his later works, when he titled “How shall we then live?” and “Whatever happened to the human race?” with a question mark. But she does not see, neither do many others, that continuous questioning or doubting any finality, even about what we know about God, is the only way to find out more and to gain insight and trust. Frequently I illustrate this by showing that we are very stable on two feet, but do not get anywhere. In order to move on we have to destabilize ourselves, dare to stand on only one foot and lift the other forward. 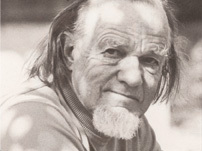 Schaeffer worked this way in all areas, including theology and the arts. He was sad that so many of his old friends, even after thirty years, would still repeat the same things they had said back then. They never moved or made their understanding of Scripture more nuanced. Of course such fear of doubt contributes to theological systems becoming an ideology, repeated over and over again without ever considering that some element has perhaps not yet been considered. Verses are cited without the context. The New Testament is read without respecting the stage settings given in the Old. Sovereignty is interpreted without attention to the fundamental human freedom and dignity accorded to the creature, made, and remaining, in the image of God, with whom God pleads, argues, engages through both miracles and judgments, and to whom he addresses an understandable prophetic text. Instead tertiary sources are drawn on to solidify an ideology that seems to offer security, a false certainty and a powerful tool to control people. Power is once again also pulled together in the hands of a few loyal to the president of Russia. A new ideology is proclaimed there, constructed with religious, nationalistic and economic components. Many Russians have always admired a strong leader who would deliver them from internal and external uncertainties. To this welcome of a savior contribute a long line of historic experiences, suspicions about neighbors who are different, an absence of understanding why and how people could be unique and stick out of the crowd. Russians long for security, and freedom was always seen as suspect, the door to confusion. Yet only free people can do both better and worse. Only where one works with freedom is the discovery of evil conceivable and encouraged! What if the admired leader uses the perceived need for order to further his ideological ends? What if he surrounds himself with colleagues steeped in the culture of the former KGB and current successor? And with a youth group that sings his praises? Power is concentrated when opposition is squashed, when prices are regulated in anticipation of an election, when news is filtered to reflect only the official point of view. I am sympathetic of the need for order, the rule of law, etc. Uncertainty wilts the flowers of civil life. But so does a world of regulations, intimidations and attempts to play with brute power. I am glad that Russia has found again a common purpose, gave new years to a long history. But I regret that its rising strength is coupled to diminished trustworthiness, openness, cooperation and maturity. Russia stands again in the world on the basis of its natural, but not its human resources; its growing military and financial strength, but not its interest in human beings, at home and abroad. It is admired for her energy resources, not for her political and moral trustworthiness. The old patterns of materialism surface, when strength is a physical, not a civil, intellectual and moral characteristic. Energy resources create power in the market, but not respect for reliability. They drive machines, but not relationships. On the background of a renewed national assertiveness the former competitiveness awakens around national identity, national history and spheres of national influence. Opposites are not good and evil, civil and uncivil, moral and immoral, but Russian and foreign or non-Russian. Here is no concern for human beings, only for nationals. Would it not be better to have the years of humiliation between 1989 and 2001 end with years of cultural, moral and intellectual awakening? Are we not one human race in one orderly creation with common needs, hopes and failings? I used to point out to Russian teachers that the truth of the universe is not local or national. It did not come to us from Athens, Rome, Moscow or California. The truth became flesh in Jerusalem, where the word of God, the creator, became flesh in history. A similar assertiveness of national interests is found in China. Mentioning the two cultures of Russia and China does not mean that we are not all also tempted to focus on the local rather than the true. Each of our countries has done that. The search for local attachments and separate identities, and even purposes, is a reaction to globalization, internationalism and other ideas that remain, in practice, rather abstract. Human rights, rationality and a concern for true data is not a local thing. They express what is common to the human race, the whole of creation, the truth of God to all at all times. They are not national, cultural or geographic. They sprang from the Jewish and Christian belief that there is a truth to the universe, which transcends all tribal and geographic boundaries. A large part of the West’s efforts to spread its ideas around the world is rooted in the acknowledgment that the one human race would benefit from what is true anywhere. Truth about Man and nature, about reason and rationality, is not national, Northern or white. Recently China has started to re-awaken its Confucian identity. Previously Marxism served as a means to gather citizens into a “collective in motion” towards a historic goal. Marxism proposed an international struggle, across the whole world, driven by inevitable historic changes. In the past few years the growth of capitalist ideas and beneficial results in economic development required a new identity to limit the excesses and to hold the people together around a quasi -religious idea. What is genuinely Chinese and different from all else, local, with roots into the distant past, is now to serve as the new/old glue that holds the divergent economic and cultural stages together. Confucius did in fact influence much of Chinese thought and practice. He was more a social reformer rather than a religious leader, whose teaching gave a place to each in the concert of the whole nation. That teaching led to people feeling their place in life has been assigned, not by God, but by the need to consider the whole as more important than the individual. All of life was to serve China as an idea. The soldier and the bureaucrat, the farmer and the sage saw themselves like spokes in the wheel of history, of China. The concern for the greater whole required the submission and conformity of the individual. It is interesting that Confucianism did not honor the members of what we call today the middle class: independent traders, skilful artisans, anyone who thought for himself by necessity or by character. His particular life made the whole untidy. The renewed emphasis on Confucian ethic responds to the fear that perhaps economic freedoms and individual accomplishments become threats to the China the authorities wish to maintain. The appeal to the collective is now again grounded in religion, social cohesion and history. It is added to earlier visions of being one people, of dialectic progress and a common external enemy. Common is the use of China and its ancient culture as an idea, to which people are held because they are understood to be unique, superior and envied by the rest of the world. Superiority can be based on external factors of measurable accomplishments, where individual people express their soul, work, imagination and heroism; it might reveal a just society with responsible individuals, a functioning economy and more skilful ways to encourage and protect life. When superiority is based on ideas of a master race with long roots into the past, it is propagated as an ideology by the powerful, by propagandists, repeated many times to drown out doubt and hesitations, and to create a sense of belonging, purpose and uniqueness. In that ideological and cultural climate a suspicion of imperfection is squashed in the bud by a controlled press, ideological education and now, in the case of Chine, by an appeal to Confucian ethic and social submission. Other societies have done similar things. Hitler appealed to Germanic roots and Nordic myths. Islam appeals to the Qu’Ran. Russia appeals to nationalism, its bloody history, centuries of sufferings and claiming to be the third Jerusalem, the only true understanding of Christianity. In each case the appeal is made in order to drown out real displeasure, doubt and questions about reality. Under the blanket over the Confucian bed real life looks quite different. Millions of people are displaced. Property rights in the country are insecure and fragile. Intellectual property belongs to the state. It can be stolen, copied and shamelessly presented as indigenous. Land is taken, whole villages moved. Pollution is so thick and widespread that many factories are scheduled to shut down before the Olympics in order to prevent sever medical damage to foreign participants. (Some teams from abroad halfway contemplate training in polluted conditions to prepare for the worst). While the economic rise of China is remarkable as a result of the interplay of individual gumption and governmental control, the political concern is not really for people. Improvements in work conditions result less from moral conviction than from obligations imposed by foreign markets. Demands for respect of individuals and better work conditions come from abroad. The authorities want compliance using Confucianism as a religious social ethic from the past, with which the greatness and uniqueness of China is identified. Crowd control rather than individual development has been part of the Chinese way of dealing with people. There is a developing middle class, and its evolving demands will make that more difficult. But for the moment China does not hesitate to expropriate and displace millions, to relocate polluting factories in order to seemingly clean the air for the Olympic games, and to massively destroy older housing for the sake of a more modern image. When the IOC came to town, an ad-hoc moratorium on the use of coal for heat was imposed. Temporarily the air was cleaner to impress the visitors with the organizational skills of the government. But it left millions without heat in the dead of winter. By way of a contrast, Christianity gave us a concern for people, not only for those we benefit from; for, what is good, true and just for reasons of goodness, truth and justice, as created and addressed by God, is not limited to tribal groups or nationalities. It is to inform policies, not serve them. The call to go to all nations overcomes geographic distance and includes a variety of people. It does not imply acceptance of cultural relativism except in matters of taste, color and other expression of unique personhood. Human rights are defined, granted and protected by the one living God, not by what ancestors have done or what governments decide to be beneficial for maintaining their hold over people. Something like a statement of repentance came from Willow Creek church recently. It refers to a multiple year qualitative study of its ministry. Basically, they wanted to know what programs and activities of the church were actually helping people mature spiritually and which were not. The results were published in a book, Reveal: Where Are You? At the same time the Wall Street Journal reviewed "Shopping for God" (James B. Twitchell, Simon and Schuster). Both pieces describe how the mega church world attracts congregations as customers, where the pastor is an entrepreneur, because churchgoers are consumers first. Programs for everyone are offered to attract people, the way clothes are hung at Marshall’s or Macy’s, shoes lie on shelves, and books are divided by subject matter and the Internet is open to everyone. Everything is laid out, offering easy access in a non-threatening manner. Now a study discovered that people are drawn to such wares, but in the longer run they have learned little about taking responsibility and developing discernment. There may be educated shoppers and sales advisors at stores. But this mega-church discovered that their programs have frequently not contributed to people becoming responsible, mature Christians. As a next step more money will be spent to revise the programs offered. I hope it will be more effective. But I also wonder whether people really need any more programs? Of course, in an open market for attention one must let people know what is available. That is a matter of information, the old meaning of advertising. But there are multiple ways of informing people, who are largely at loose ends about what their needs are. They are exposed to too many options, without being given previously the tools to define their needs. In the end they will decide more readily by judging with their senses than by what makes sense, by what they like rather than by what they need. The former gives an immediate access to decisions, the latter requires discernment, effort and a longer perspective. Like with the resources of the Internet we are face to face with knowledge, but not with wisdom or even necessarily truth. We find ourselves between the democratic popular delight of variety and the autocratically imposed form of what is true. Behind it we recognize the ancient philosophic question of the relation between form and freedom, between the one and the many, between change and stability. At times we are pulled by the delight in freedom. It pleases our individuality, is not offensive and lends us autonomy. In church we walk with my Jesus, my testimony and my interpretation of the text. Yet alone it also gives us no way to learn more than I want to learn, to do what I ought to do, even though I may not like it. It gives freedom without responsibility. At other times we crave order, belonging and critique. Yet that order can be imposed, allowing no space for the self, for variety, etc. Seeing the will (of whatever designation: permissive, holy, allowing) of God behind all events gives such order, but dismisses the significance and practice of moral objection, of human compassion and of repentance. It makes God guilty and leaves no room for his “Innocence”. The instruction of the Bible, the bread handed out in churches, must contain both the freedom and the form of truth, which lead to an understanding God’s grace as well our obligation to mature into the people of God.